Released about a year ago, the Desire 816 is arguably one of HTC's best mid-range handsets to date. At launch, the 816 ran Android KitKat, and it still does. Fortunately, it looks like HTC is almost ready to start updating the smartphone to Android 5.0 Lollipop. According to HTC ROM developer LlabTooFeR, the Desire 816 will be updated to Android 5.0.2 Lollipop next month (April). It's not clear if the handset will also get HTC's Sense 7 UI (which debuted on the One M9 flagship), or if it's going to keep using the current Sense 6 UI. But we'll let you know when we find out more about this. 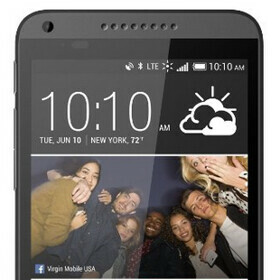 The Desire 816 is currently available for as low as $200 in the US (off contract, Virgin Mobile version). It's one of HTC's largest Desire smartphones ever, as it offers a 5.5-inch 720p display alongside a pair of front-facing speakers. The handset also features LTE connectivity, a 5 MP front-facing camera, 13 MP rear camera, 1.5 GB of RAM, and 8 GB of expandable internal memory. Furthermore, the 816 comes with a quad-core Snapdragon 400 processor clocked at 1.6 GHz, and a 2600 mAh battery. Do you have an HTC Desire 816? If yes, do you think Lollipop will make it a significantly improved device?